For the serious car lover that explores the minutiae of vehicle mechanics, automotive cutaway art is a blessing. You've probably seen plenty of cutaways that show how the human body works. Applying this same principle to the car, you get a clear view of the intricate networking of fuel lines, the wiring of sound systems or the details behind the transmission. Cutaway art provides the opportunity to study cars and their intricate systems without getting your hands greasy. 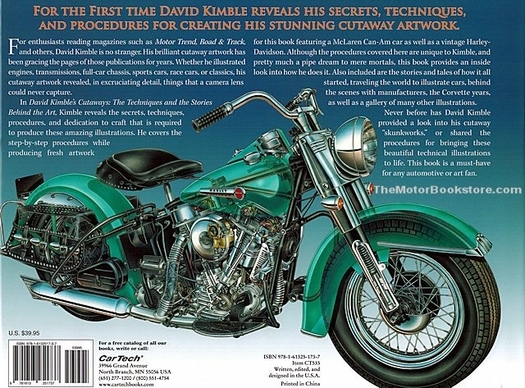 David Kimble is a respected artist in the field of automotive cutaway art. His newest work isn't a piece of traditional art, but it might as well be. David Kimble's Cutaways: Techniques and the Stories Behind the Art is a testament to an art form that requires attention, patience and talent. But it's also a craft that can be mastered if you know the techniques, secrets and procedures required to produce cutaways of even the most sophisticated auto systems. Kimble's Cutaways high quality product isn't merely a how-to book. It's a fascinating look at how an artist approaches his craft. Kimble doesn't just give step-by-step processes for turning a vintage hog or Corvette into brilliant cutaways, he offers stories behind the work that takes him around the world, about being in the midst of assembly lines at auto manufacturers and how mental image became excruciatingly complex illustrations. Including the process for two of his classic works, the author walks you through drawings and the ink to airbrush production and has a chapter that emphasizes reflections and highlights. 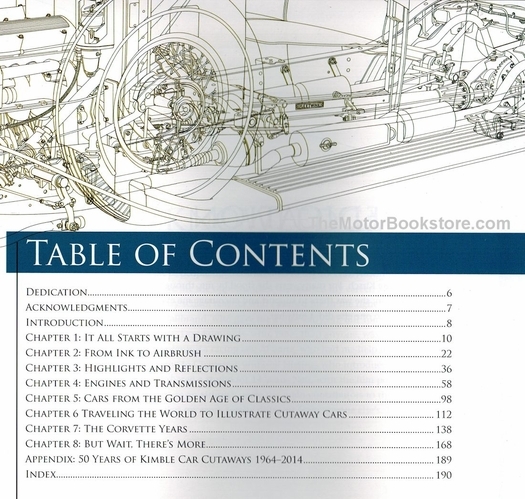 There's content devoted to the unique planning required for transmissions and engines. Get the low down on developing art for classic vehicles. And finish the journey with an appendix that looks at five decades of the renowned artist's portfolio of automotive cutaway art. 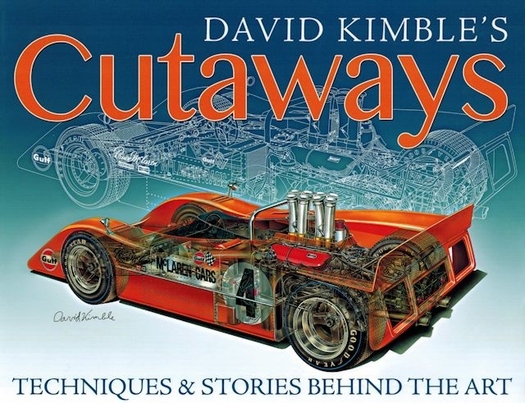 David Kimble's Cutaways: Techniques and the Stories Behind the Art will be welcome to those familiar with the author's work in Road & Track and Motor Trend, where his cutaways have been viewed for years. His affection for mechanics and all things automotive came at an early age, at the knee of a father who was a racing fanatic and Midget racer. As obsessive with art as he was cars, Kimble studied at the Academy of Technical Arts and found a way to combine both his great loves. Now, you get to do same! 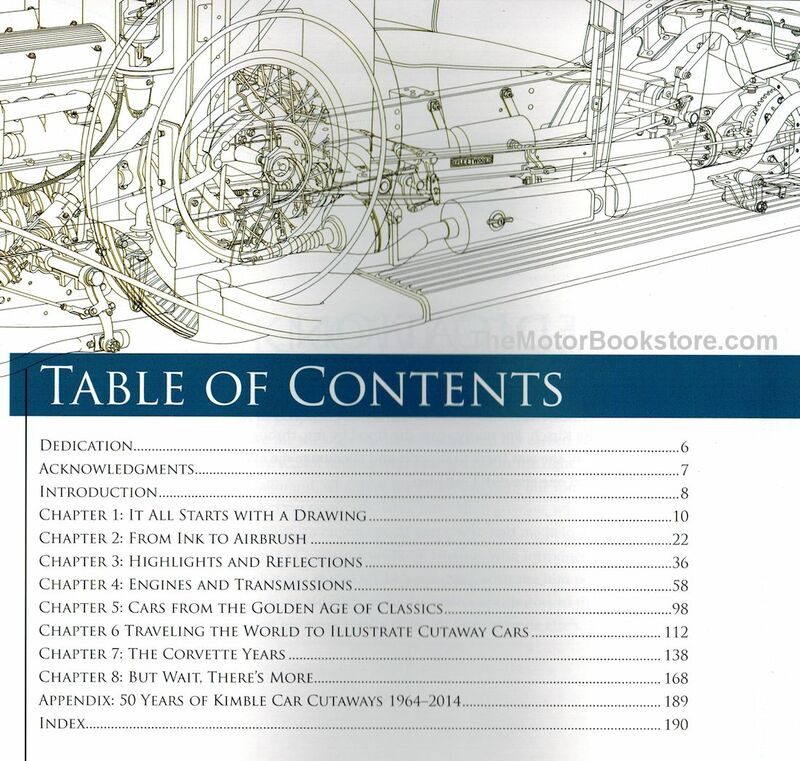 Ask a question about David Kimble's Cutaways - Automotive Art Book.